We are happy to supply Schools, Colleges, Universities, Museums, theatres and local authorities throughout the UK with the Fire Retardant Fabric Spray, Simply fax or email us an official purchase order and we will despatch the goods. Normal delivery is on a next day, on stock items. You can call into our store during our normal opening times and collect the Fire Retardant Fabric Spray. Please contact us before you make your way to us so we can ensure your order will be ready for collection. We are centrally located in Birmingham West Midlands, on the A47 coming out of City going towards Star City, and are about 2 miles from spaghetti Junction. This provides excellent access to the nation's infrastructure, allowing us to offer speedy and reliable delivery throughout the UK. 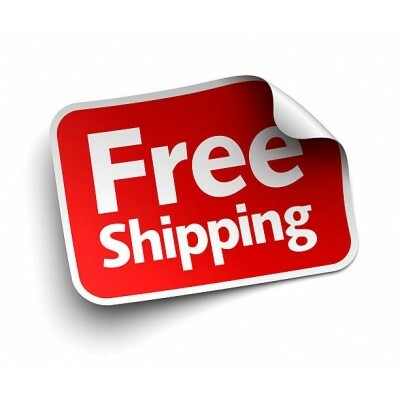 No minimum order value, order what you need, from one 750ml to 25 Litre drums, ordering items is an easy process using payment by debit, credit card or alternatively you can open an account with us for your purchases using an official purchase order, purchase orders can be simply faxed or posted to us, once received and verified we will despatch your order, we can organise deliveries and send the invoice to the appropriate authority. 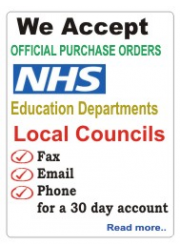 At present we can only offer account facilities to schools, education sites and local authorities, other users can use the purchase order facility to order but must use a payment card with their order. Payment terms are normally 30 days from date of invoice. We can arrange a same day delivery service to local schools, please contact us if you are a local school in the Birmingham area, looking for a same day delivery, same applies to local Birmingham council offices, neighbourhood offices, local NHS departments, local charities, local libraries, local museums, local arts and craft departments etc..
We always offer a friendly and helpful service.